Music minister Chris Shalom is vamped for 2015 as he croons a new addictive melody for worshippers all around the world! This is the single – the final phase that ushers in his much anticipated album. 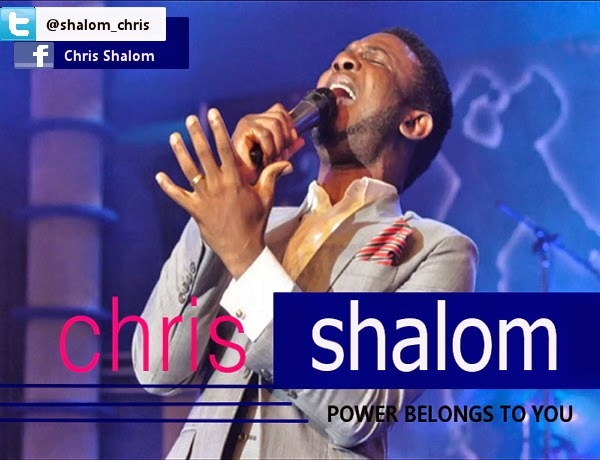 After filling the social media with the news of his upcoming release “Power Belongs to You” last week, Chris Shalom finally drops the new single! The Alternative/Soft Rock worship single is off his upcoming album and it is more or less a sequel to “You are the Reason” which was widely accepted and critically acclaimed. It’s a simple sing-along song, one which Chris Shalom envisage will quickly catch on. One can only imagine the heights this new single will attain as testimonies of blessed lives have started emanating just with Chris Shalom ministering the song at Believers Loveworld New Year’s Eve Service. He released the video for “You are the Reason” on the 30th of October 2014 and has hinted that the album will follow the release of “Power Belongs to You” at the end of February. His other songs include “Unto the King,” “You are Holy”, “We Bless Your Name”, amongst others. He is a song writer, music producer, dynamic vocalist, worshipper and keyboardist who has coordinated several Christ Embassy choirs.